Across the country, an increasing number of states are decriminalizing or legalizing the recreational use of marijuana. Today, certain patients with chronic conditions may use marijuana to ease their pain or help them manage their health; however, recreational use of weed remains illegal. A person caught with more than 20 grams of marijuana faces surprising charges that a knowledgeable Orlando drug lawyer is best equipped to tackle. Possessing over twenty grams of marijuana is a felony offense in Florida. Although this might not seem like a vast supply, you must understand the reasoning behind the designation of this crime as a felony. Despite its medicinal applications, marijuana remains a Schedule I substance under state and federal law. Schedule I substances are considered the most dangerous illegal drugs because of their high abuse potential and no valid medical uses. 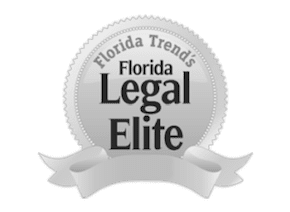 If you face a criminal charge for felony marijuana possession, an attorney who defends people caught with more than 20 grams of cannabis in Orlando can help protect your rights and secure your future. Additionally, the consequences of becoming a convicted felon extend far beyond prison. Convicted felons can neither drive nor vote in elections. Their criminal record is also easily revealed by the most basic background check. The actual amount of marijuana discovered at the time of your arrest will usually determine the punishment. Police may decide that the quantity of pot you had showed an intent to sell, which may lead to a more severe drug charge and a harsher punishment if you are convicted. With a sharp marijuana possession lawyer advocating for your interests, It may be possible to avoid the worst consequences for felony marijuana possession. At The Umansky Law Firm, we are thoroughly dedicated to uncovering all the facts of a case and presenting evidence that helps to elevate you as an upstanding citizen. With zealous representation, it may be possible to have your charge reduced to a misdemeanor or dropped. A drug defense lawyer may take one of several approaches to resolve your case based on its facts. One of these approaches may be to challenge the police search that led to your arrest. Defense lawyers working on your case may look into whether police mishandled your case or violated your rights. If there is evidence that police overstepped their boundaries, it can strengthen your defense. The officers who arrested you may have determined whether the drug you possessed was in “actual possession” or “constructive possession.” To be in actual possession of a substance means that the drugs were found directly on your person, that you knew the drugs were illegal, and you had exclusive control over them. Constructive possession refers to a situation such as when you are at a party and police find drugs in the house, or you are in your friend’s car and police find drugs inside the vehicle. It assumes that multiple people knew about and had access to the drugs before police discovered them. Proving constructive possession of a substance is a greater challenge, as the state must show that you knew there were drugs present and that they were illegal, and that you had control over them. Simply being near the drugs in question is not enough to convict you of constructive possession. Your future is on the line when you face a felony charge. Don’t take chances at this critical moment. Contact The Umansky Law Firm for a free consultation to discuss your case. Our team of criminal defense lawyers has helped people facing all types of charges throughout Central Florida. Our client-centered approach ensures your case receives the attention it deserves. Call 407-228-3838 or click here to submit a summary of your legal issue.